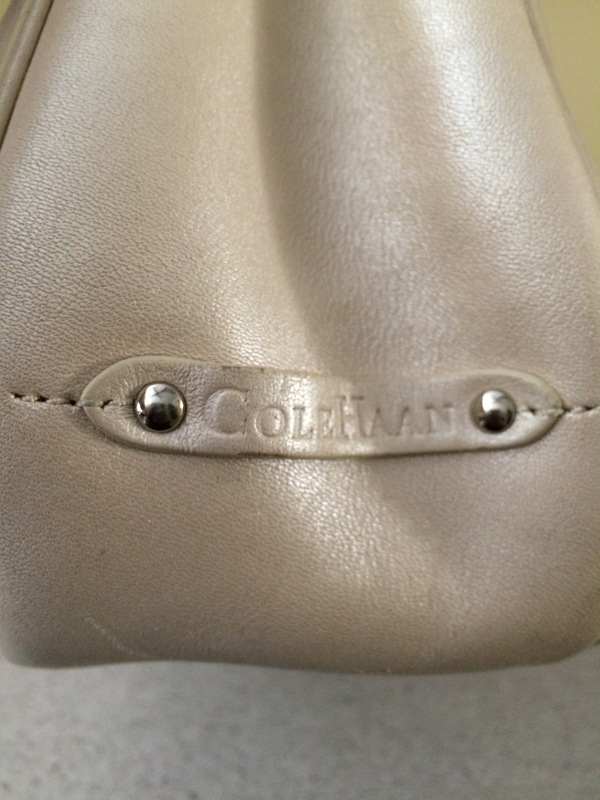 This cute Cole Haan shoulder bag would not be left behind in the St. Vincent de Paul a few weeks ago. 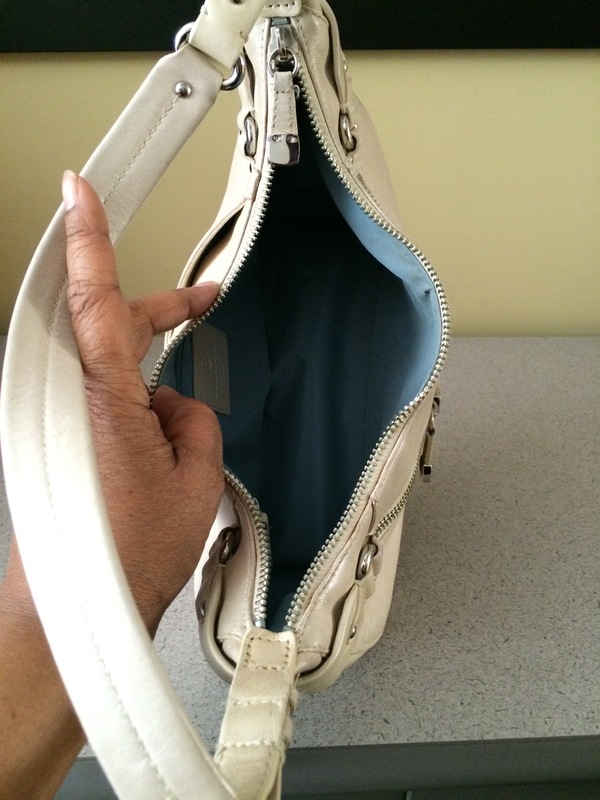 This allows me to make a point: I often buy purses that I KNOW i’m not going to keep. I thought about selling them on eBay or wherever, but I’m much happier giving them away. So, I consider it a bag ministry. This is a bag that may not translate well in the pictures, but the leather is beautiful. I love the details, especially the pocket on the back. It has a faint mark on the back of it but whatever – it’s super cute and you can’t go wrong with the color; it’s seasonless. 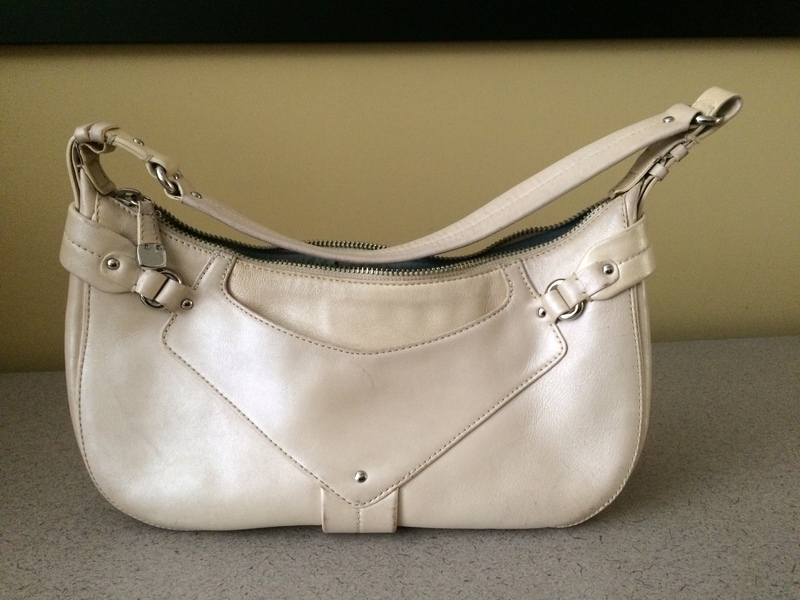 Email me at 50favbags@gmail.com if you like it. 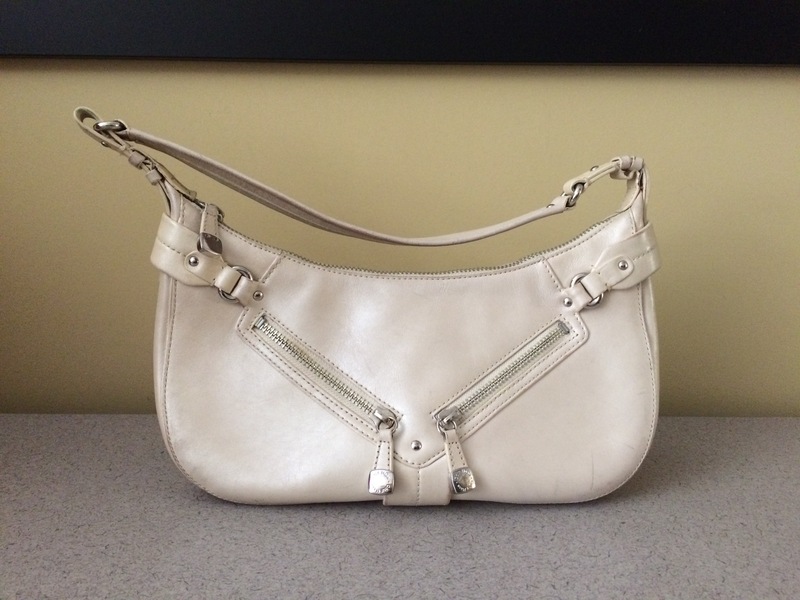 This entry was posted in 2015 Lent bag giveaway and tagged Cole Haan, cream, giveaway, Handbags and Purses, Leather, off-white on March 11, 2015 by miriamgmck.